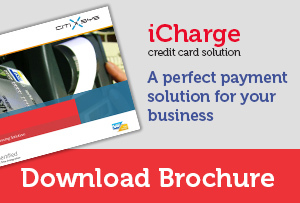 iCharge is a PCI compliant and SAP certified credit card application integrates SAP Business One with Payment Gateways globally. iCharge processes credit card information between sales transaction in SAP Business One and payment processor service that obtains authorization information needed to approve the transaction. For all sales transactions generated in SAP Business One, iCharge authorizes and settles payment in real time and integrates them back into SAP Business One. A perfect payment solution for your business? Do most of your customers prefer to pay you through credit cards? Do you feel the need to receive one payment against multiple deliveries? Do you have to manually punch in the customer credit card details every time a payment is to be received? Do you have to create multiple incoming payments in case the customer chooses to pay from different cards? Do you need to have customer’s credit card details authorized at multiple stages in the sales process – at sales order, at delivery and at payment receipt? If you answered yes to any or all of the above then you need the iCharge designed specifically for SAP Business One. iCharge is Payment Card Industry (PCI) data security standard compliant and supports the a variety of payment processors that covers almost all major payment processors across the world. Supplies and Tools of North (IHNSA) was founded in 1998 with its headquarters in Cuauhtemoc City, Chihuahua, North of Mexico. The company sells hand-held machine tools, industrial tools like welding machines, and is also invested significantly in the metal engineering industry. Another arm of the company has its focus on agricultural supplies and instruments. IHNSA also supplies input material to the automotive industries in northern Mexico. customers, thereby differentiating itself from the competition. The company’s biggest problem was the lack of synchronization of reports & documents between branches and head office. The management reported that documents were not replicating in time, and there were errors in the derived information. CitiXsys conducted five-day intensive training sessions for partners across three continents in Houston, Melbourne and Mexico City. Our trainings were carefully designed to provide information-packed sessions, accompanied by extensive learning opportunities. Training workshops were a great success for the attending partners as they helped them in improving iVend Retail product knowledge. 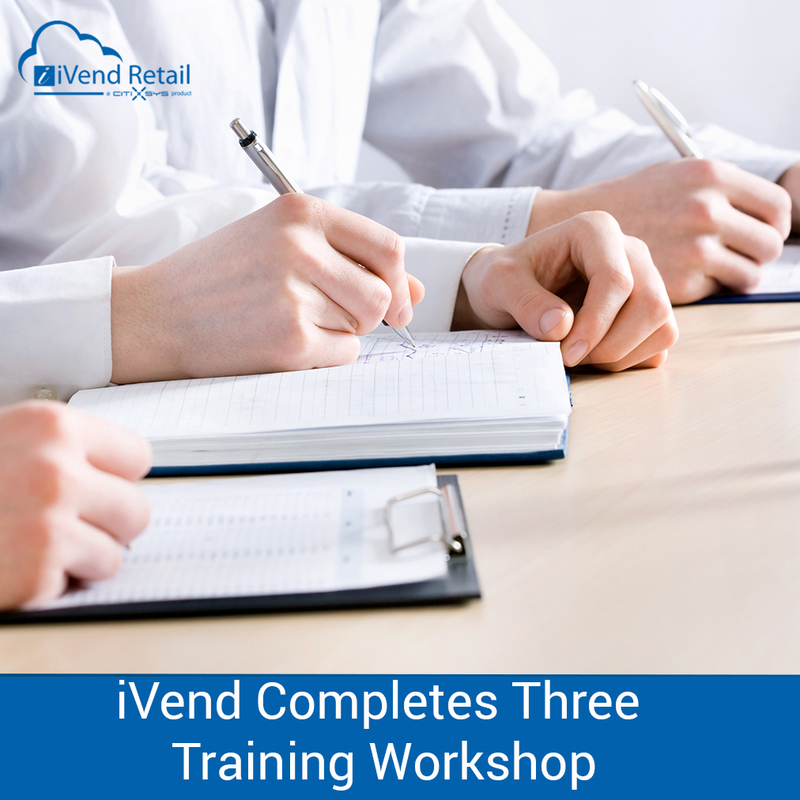 The objective of the advanced classroom training program was to help the candidates gain in-depth knowledge of iVend Retail applications, including Terminal POS, Mobile POS, Loyalty and Passes. During the training program, the participating consultants learnt about module implementation, configuration and overall use of the application. The ‘Consultants’ also learnt valuable product enablement processes and methodologies, including best practice techniques. Through these intensive classroom sessions, the students sharpened their skills, which all acknowledge will ultimately lead to realization of greater benefit to the end-customers, helping them streamline their businesses for greater productivity and profitability. In Melbourne the training session was conducted by David Webb, who is the Director of Partner Enablement and Client Connect at CitiXsys Technologies and Sandra Callanta Cosejo, Local Product Expert (SE Asia) – Product Consulting. David also conducted the Houston training session, where he was accompanied by Sebastien Gutierrez, the Local Product Expert – Product Consulting for North America. The training in Mexico City was conducted by Izairis Avila Lopez, the Professional Services Consultant – Product Consulting and Adriana Ramirez Romo, Local Product Expert – Product Consulting for the region of Latin America. Participating consultants from all the training sessions achieved Certification in Implementation of iVend Retail Applications at the conclusion of the 5-day training program. These classroom sessions were part of several that CitiXsys has planned for 2015. Upcoming events for Dubai in the Middle East and Bangkok in SE Asia are nearing full capacity with an overwhelming list of registrations. It is truly uplifting to see so many of our valued partners signed up for these training sessions. In the end, (as all candidates experience!) what emerges are smarter, sharper iVend Product Experts. How can cloud commerce accelerate international expansion? It’s almost impossible to pick up an industry magazine or access a website today without seeing news of another retailer growing their business into new territories. The saturation of mature regions and new opportunities in emerging areas is pushing the boundaries of retail wider than ever before – but not without complications. From differing languages and currencies, to local legislation and cultural variations, international expansion is far from a case of ‘lifting and shifting’ existing models into new markets. The same can be said for store technologies. For example, a recent report by Boston Retail Partners predicts the number of retailers using mobile POS systems will grow by 300% over the next two years, as the move towards consumer-centric encounters continues apace. 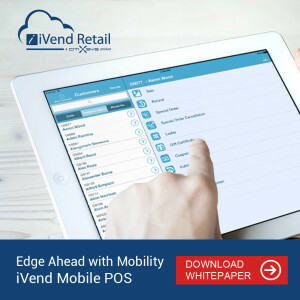 However, managing such solutions across store estates that span broad geographies can be a challenge; the greater number of mobile POS devices being used, the more complex back-end functionality becomes. One way to innovate around these challenges is to invest in a cloud commerce solution. By moving IT infrastructure away from the premises and controlling deployment and management of back office systems remotely, retailers instantly grant themselves greater flexibility and capacity for innovation. More than that, the ability to make upgrades or implement new functionality direct from the cloud enables companies to improve their customer offering instantly, without someone on-site, disrupting the order of business. This level of agility is important in existing markets, but plays an even greater role when considering the expansion of retail businesses. 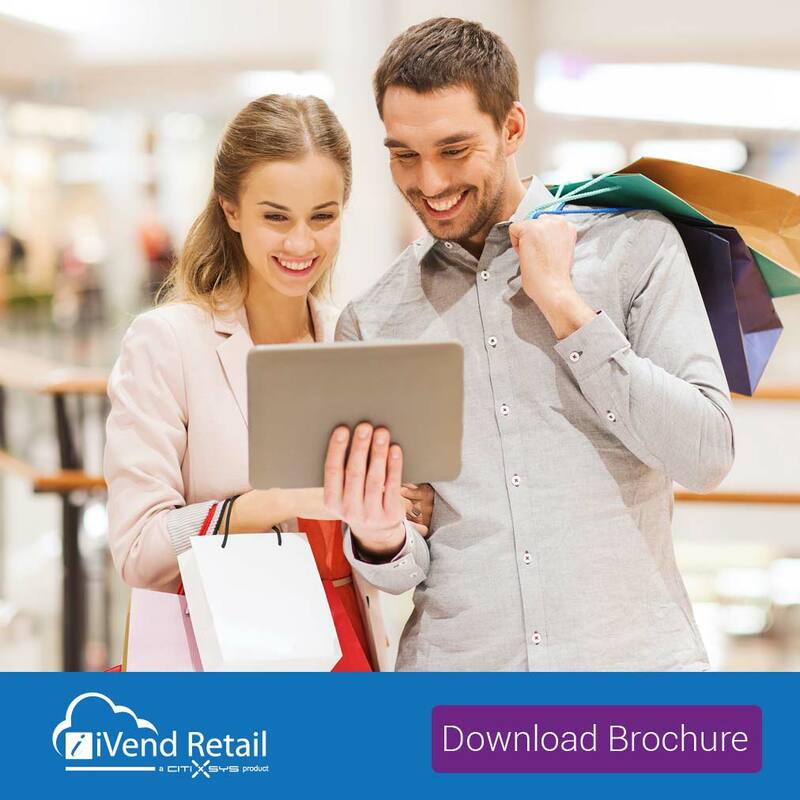 Centrally controlling IT through a cloud commerce solution enables back-end information to be connected as soon as a mobile device is up and running – much quicker than building on-site support for every new store opening. Storing data in the cloud also means that retailers can integrate back office information with a number of different devices, tailoring customer-facing solutions for the individual needs of each market. This is important if shoppers in different countries may not be familiar with the same devices; retailers can introduce hardware that is well known in each market, without compromising consistency of information and functionality across the company. It’s not just shoppers who respond to different technologies, either. 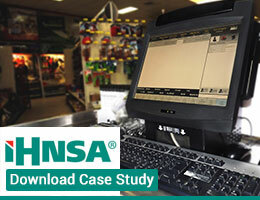 Running mobile POS connected to the cloud puts front line personnel – store managers – in touch with immediate information about their customers. In a new environment especially, being able to analyse consumer trends enables store associates to make decisions about what is and isn’t working, to drive profit and increase the chance of success in an unknown territory. While cloud commerce can’t solve every hurdle that must be crossed when expanding internationally, it does give retailers a flexible, straightforward platform for building tailored customer experiences. So not only can they begin trading quickly and simply, but they can customise encounters for individual market preferences. Retailers today are often faced with a dilemma: let shoppers use their own internet-connected devices in-store, and risk losing control of the journey to purchase. Give them self-service kiosks, however, and hardware can end up broken or misused. One effective solution for bringing technology into the store is implementing clienteling solutions. Clienteling is sometimes considered a term to describe retailers using mobile POS to make orders on behalf of a customer, but its capabilities extend far beyond that. In fact, clienteling has the potential to transform shopper/store associate relationships. How? By using mobile technology to create more impressive – and ultimately profitable – customer experiences. One of shoppers’ greatest frustrations is knowing what they want, but not being able to see it at the shelf edge. Integrating inventory systems via mobile POS enables store personnel to outline not only what’s available on the shop floor, but in the stock room and even in neighbouring stores. If the item isn’t available immediately, then delivery to the store or the customer’s home can be quickly and easily arranged. With 81% of consumers researching online before entering a store, today’s bricks-and-mortar shoppers are incredibly clued-up when they arrive at the aisles. However, often they have specific questions upon seeing the product – and expect store associates to address those queries. Rather than relying on personally acquired knowledge, mobile POS empowers staff by linking to detailed product information, to answer even the trickiest enquiries. If there are two things consumers hate, it’s queuing and inconvenience – which tend to stem from fixed point of sale systems. The flexibility of mobile POS enables retailers to build service around the customer, both in terms of giving them what they want, and holding encounters wherever they are in the store. Unlike online, where retailers have a detailed history of consumer activity, shoppers are effectively anonymous when they walk through the store entrance. Entering their details into a mobile POS system will bring up that history, allowing personnel to tailor offers based on their previous purchases or value to the business. It has the added benefit of enabling retailers to track activity in the store as well, to build up a complete omni-channel picture of customer activity. It’s not just the current sale that clienteling can enhance. Engaging with customers through mobile technology enables retail personnel to help shoppers build up wish lists for future visits. This can be particularly useful in sectors such as fashion and beauty, where consumers try several products at once but may only have the budget to purchase one there and then. Clienteling also gives retailers the capability to gift list these items, for others to purchase even when the original customer is absent. Wedding gift lists are a great example – the happy couple can compile their preferences, which the retailer can manage independently when guests redeem goods in-store or online. Upselling can be an effective and welcome customer service tool, provided it’s relevant to what customers are buying. With a mobile POS system integrated into the operational network, retailers can recommend products from the wider catalogue based on the items shoppers are browsing in store. By tailoring services to individual tastes, store associates are not just more likely to increase customer basket sizes during that encounter; they are creating a seamless encounter that will encourage that shopper to return again and again. How can your mobile strategy stay ahead of the retail curve? Secondly, the more retailers incorporate mPOS into their store strategies, the more competitive it will become as a Edge_Ahead_with_mobility customer service tool. This means ‘making do’ with existing equipment will not suffice – retailers will need to be at the forefront of their game when it comes to both hardware and the supporting solution, in order to innovate experiences as shopper expectations increase. In order to stay ahead of the competition, therefore, retail businesses need to future-proof their mobile engagement strategy. This means choosing a flexible, scalable mobile POS management system that can add new functionality without slowing down day-to-day interactions. The quickest, most painless way to do this is to invest in a cloud-based solution. 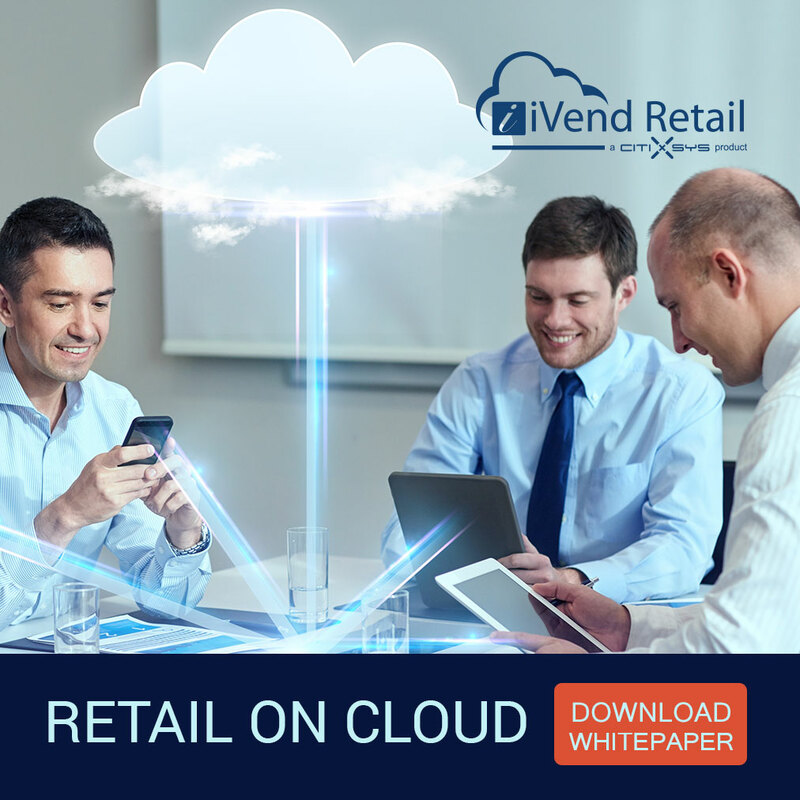 By moving deployment and maintenance of technology infrastructure into the cloud, retailers can upgrade or roll out applications to any device within their network remotely, minimising disruption to trading. Not only that, but moving to the cloud lifts the boundaries applied by on-site solutions. By outsourcing their mPOS management to an expert third party, retailers remove restrictions imposed by store networks, data storage and operational resources. And should the time come when front-end hardware isn’t meeting customer needs, they can easily implement new technology that plugs straight into the cloud, drawing down existing data and capabilities as soon as the upgraded devices are connected. Now that the retail industry is safely past the 2015 predictions and hype, let’s see what enterprise retailers and SMBs are investing to better sales and customer service. Enabling more payment options and integrating EMV before the deadline is the top priority among retailers. The Cloud has never been so sought-after, and the number of retailers migrating to it is only going to rise. Then, integrated loyalty is one aspect that retailers are seriously investing in. Mobile POS, integrated retailing and better loyalty benefits are points that a retailer can benefit the customer with, and mine valuable customer data alongside. The thrust is also on to bring technology to the floor for empowerment of Shop-Floor Employee. Along with back-office improvements and Cloud integration, the Mobile POS enabled employee is expected to work as queue-busters, better upsells and an overall enhanced retail experience. In short, 2015 will see the employee becoming the real face of the retail chain. The multichannel movement’s arriving fast: is your business ready? If this month’s Apple Watch launch underlined anything about today’s consumers it’s that they love technology. Wherever you look, people are blending their online and offline experiences using connected devices – and this is changing the game for the retail sector. The multichannel movement has created new challenges and opportunities for retailers wanting to capture customer value at every touch point, particularly online. Over the past 12 months, the enormous increase in mobile retail has led to eCommerce’s importance soaring. Already we’re seeing promotional events such as Black Friday become a global retail phenomenon. In fact, according to a recent report by Dunnhumby, 20% of total growth in established markets will come from online shopping in the next 5 years. However, it’s important to remember that online shopping is only half the story. There are very few consumers who shop exclusively through the internet. Whether the final sale is attributed to eCommerce or the store, it is likely that the buyer has interacted with the retailer across both channels, using multiple devices, on their journey to purchase. What does this multichannel movement mean for retailers? Most importantly, the rise of multichannel has created a compulsion to offer consumers a seamless journey however they shop. Desktop, mobile and store shopping can no longer be treated as separate entities; they are part of the same customer journey, and therefore a common brand identity and product availability must exist throughout. For retailer eCommerce platforms in particular, this means optimising websites for use on all devices. The importance of responsive content will increase further next month when Google updates its search engine criteria to prioritise mobile optimised websites – highlighting that consumers must be able to find and view content easily, and purchase quickly, even on small screen. It also means that the digital journey must be firmly integrated with offline activities. One of the greatest challenges for today’s retailers is integrating bricks and mortar into the multichannel experience. More often than not, shoppers enter a store with some level of knowledge from online research. This last point in the journey involves seeing and trying the item at the shelf edge, and asking final, detailed questions that perhaps can’t be addressed online. Equipping customer service personnel with Mobile POS technology linked to back-end systems provides access to this depth of knowledge. It also enables staff to pull up recent orders or abandoned purchases, to continue shoppers’ online journeys in the store. How can retailers best serve multichannel shoppers? There’s no doubting that multichannel shopping is a complicated world, with many technology solutions available to address these complexities. The key for retailers is to implement systems that enable them to flexibly serve and customise experiences for shoppers in all channels. 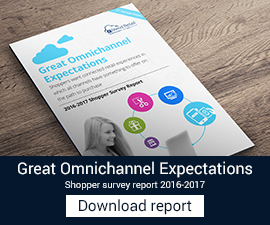 Good news is on the horizon for those that achieve this agility – as the Dunnhumby report notes, multichannel customers are worth 30-67% more on average than those who shop in a single channel. It seems the multichannel movement is packed with shoppers who are hard to negotiate to the checkout, but who reward great experiences richly once they get there. 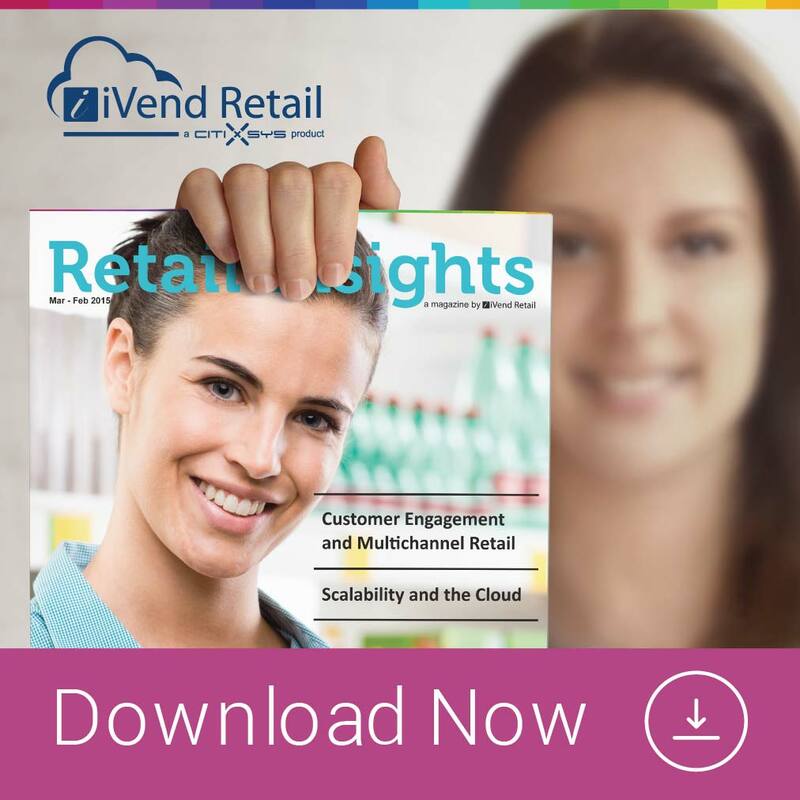 In this month’s issue of CitiXsys Retail Insights, we’ve taken up how multichannel retail solutions powered by the Cloud reinvent store operations and scalability. Read on about ideal ways of customer engagement and the substantial role of Cloud-based Mobile POS in delivering customer satisfaction. The cover story talks about what the Average Joe wants from a retailer, and how can the latter use multichannel retail solutions to deliver and create a lasting, positive brand image. Whether it is in-store or online engagement, the modern retailer needs to be there for the customer. 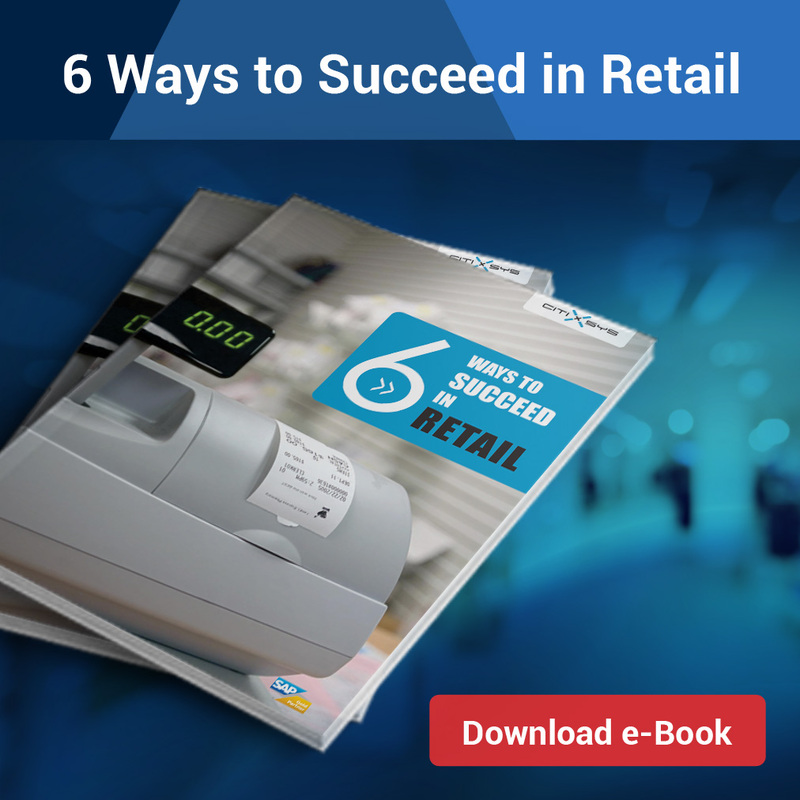 Download the magazine to read more articles on technology transforming the retail landscape for the store customer with the Mobile POS-assisted clerk, Cloud- Easing scalability of retail operations and valued CitiXsys channel partners. Extended Support –CitiXsys offers support for its applications to enhance your standard SAP Business One experience. We provide you with the end-to-end, personalized assistance to achieve real time results from your investment. CitiXsys guarantees that their Customer’s receive the best possible back up support from the CitiXsys Support Center each time you interact with them. Customers can also log in support ticket on our 24 X 7 support portal to get answers from our team. Our global operations & world-class support ensures that all Customer queries are answered in time. Implementation by Experts – CitiXsys with its hundreds of partners across the globe have over a decade of industry expertise in SAP implementation & Support. Together we make a huge team of Industry experts who can help you get your ERP implementations completed in remarkably professional manner without delays. With no barriers of language & borders we can help our customers Go – Live with their System & product implementations in minimum time and extract maximum value from their decision.